A big thanks goes to Samantha for alerting us to the upcoming allergy friendly day with the New Britain Rockcats. They play against the Seadogs on Sunday, July 27. For additional information and tickets, please visit the Rockcats website. 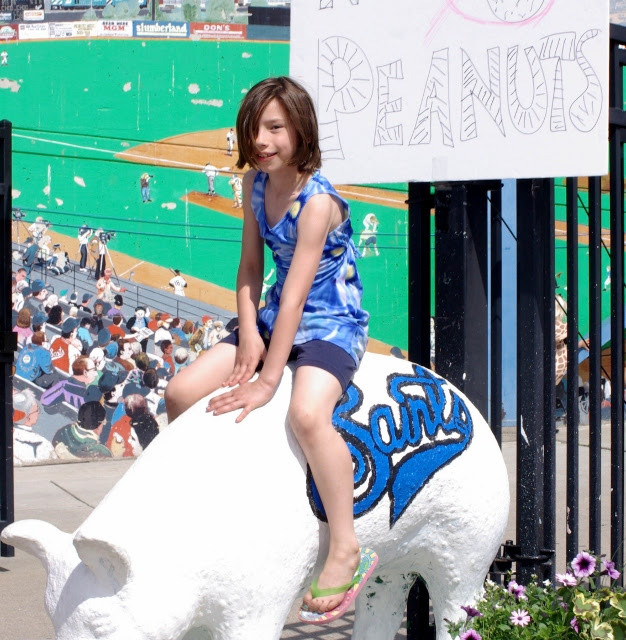 Thanks to the Rockcats for accommodating fans with peanut allergies for so many years! On May 6, the New Orleans Zephyrs will have a peanut allergy friendly game. 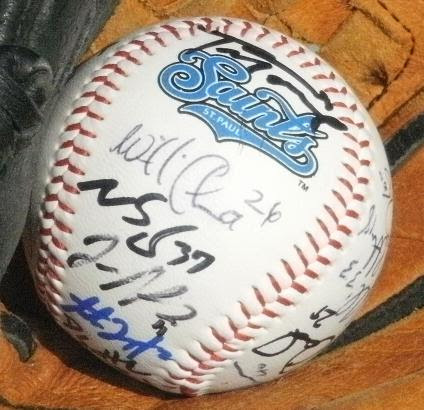 For more information about the Tuesday night game, please call the Zephyrs at (504) 734-5155 or visit the Zephyrs website. We weren't sure if it was going to happen, but just recently, the Kansas City Royals announced they will be offering seating for fans with peanut allergies in a special suite for one game each month of this season. The first date scheduled is May 28. According to an article on kmbc.com, the suite can only hold a maximum of 21 people. The Royals are limiting ticket purchases to groups of no more than four people, so several families may enjoy the suite. For more information, please visit the Royals' website. This is very exciting news which was shared by a number of food allergy friends including Jennifer WC on our Facebook Page, Melanie and George on Twitter--the Florence Freedom have completely eliminated the sale of peanuts at their ballpark for the entire season. What a wonderful way to make individuals with peanut allergy feel more welcome! More noteworthy is the fact that the Florence Freedom have taken an additional step and are posting signs asking fans not to bring peanuts into the ballpark. A big thanks goes out to all our food allergy friends who help keep peanutfreebaseball.com in the loop, so we can try to keep all interested baseball fans with food allergies in the loop! This is the 3rd year Mylan has sponsored an allergy awareness night game with the Pittsburgh Pirates. This year, the game is scheduled for Friday, May 9, at 7:05 PM. Tickets are $25 each and may be purchased on the Pirates' website. The Deck has been specially reserved for a peanut controlled section for interested fans. What a fantastic tradition! "Tickets can be purchased through the Silver Hawks' Box Office for $17.00; space is limited to the first 50 people. Price includes a game ticket, hot dogs, hamburgers, chips and soft drinks. Call the Box Office at 574-235-9988, or stop by the Box Office, located on W. South Street to purchase tickets for the peanut free suite." That means each Sunday home game will be peanut free. That is pretty amazing! You can read more about the peanut free games and purchase tickets on the Spinners' website. Thanks to Jen for the scoop on the Cincinnati Reds' Peanut Sensitive Days. A peanut sensitive game is scheduled for Sunday, May 11 at 1:10 PM. Tickets are $25 and may be purchased online at the link above. If there is enough demand, more peanut sensitive games may be added. Seating will be in a private area away from concessions. To show your support for these games, please LIKE the Cincinnati Reds' Fans for a Peanut Free Night at the Ballpark Facebook page. The Phillies have 5 (FIVE!) games with peanut allergy accommodations. There are 3 different peanut reduced suites (ya think a lawyer might have come up with that description?). For more information and ticket purchase, please visit the Phillies' site. Tickets are $50 apiece. For tickets and more game info, please visit the Clippers' website. I just stumbled upon a new one I hadn't found before!!! There is a peanut free area at Spokane Indians games. There's really very little information on the site, but it seems there is a permanent peanut free seating area sponsored by Marycliff Allergy Specialists and Clinical Research. The online "poster" states it is located on the third base side in lower box 201. That's awesome! Way to go guys!! The Colorado Rockies are having a peanut allergy friendly game on April 18, 2014. Seating is in the Mezzanine Party Suites. Tickets are $25, and ticketholders will need to sign a waiver. For additional information, please see Rockies Hosting Peanut Allergy Friendly Game. Thanks to Erica of Michiana Food Allergy & Anaphylaxis Support for the following info! 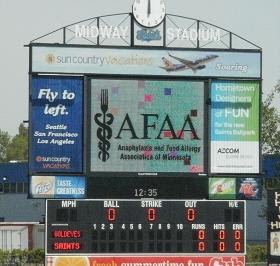 MFAAS and the Silver Hawks are having the 2nd annual peanut free game on May 18th at 2 pm. We are awaiting information about ticket purchase still, but save the date! The Pawtucket Red Sox are offering 2 peanut free games this year. The games are Tuesday, June 24, against the Norfolk Tides and Wednesday, July 30, against the Syracuse Chiefs. For more information and to buy tickets, please visit the Pawsox website. Thank you to Michelle for the below info! LAKEWOOD, N.J. (April 7, 2014) – Food Allergy Research and Education (FARE) will host a fundraising event at the Sunday, June 1, 2014, Lakewood BlueClaws’ Game. In an effort to help protect food allergic fans and in honor of all individuals with food allergies, the BlueClaws will have ingredient lists available for every food item sold. That day, all items sold at the concession stands will be peanut- and tree nut-free. The BlueClaws have reserved Section 102 for the event and all seats in the section will be power washed prior to the game to reduce the risk of exposure to food residue. Tickets are $10.00 and a portion of the proceeds will be donated to the 2014 Lakewood FARE Walk for Food Allergy which will be held at the Lakewood BlueClaws FirstEnergy Stadium on Sunday, October 12, 2014. The person that raises the most for the 2014 FARE Walk for Food Allergy by Friday, May 30, 2014, will have the opportunity to throw the first pitch of the game. The game against the Delmarva Shorebirds will begin at 1:05 p.m. Fans are advised to arrive early as this will be the same day as the Kids Expo and the first ever BlueClaws Spelling Bee. It is also Kids Eat Free Sunday and each child will receive a hot dog, bag of chips and soda. Tickets can be purchased online at www.blueclaws.com/tickets by selecting FARE when making your selection or by calling the Lakewood BlueClaws Box Office at (732)901-7000, option 3. The Box Office is open 9am - 5pm Monday - Friday and 10am - 3pm on Saturday. Like the “FARE Walk for Food Allergy in Lakewood, NJ” on Facebook. Tickets may be purchased online. On Friday, August 1, at 6:30, the Kane County Cougars will play the Quad City RiverBandits. The game will be peanut free and tickets may be purchased online on the Kane County Cougars site. The New York Mets will have Peanut Free Suite Day on Sunday, April 27, at 1:10 PM. Tickets ARE $90 and include food and non-alcoholic beverage for 2 and 1/2 hours. Ticket purchasing and peanut free suite info may be found on the Mets website.
'' I am pleased to inform you about this season’s Suite Events at Yankee Stadium. The dates are for the game scheduled on Friday, April 25th against the Los Angeles Angels of Anaheim at 7:05pm and for the game scheduled on Sunday, May 4th against the Toronto Blue Jays at 1:05pm. The cost will be $100.00 per ticket per person. The seating location will be for a Party City Party Suite. Basic ballpark food and non alcoholic beverages will be included in the cost of the ticket. A waiver that must be signed, notarized and returned to the Yankees prior to or at the time tickets are picked up for the relevant game, will be provided once your interest in attending one or both games has been indicated. If you are interested in purchasing tickets for one or both of the games please let me know and I will reply with a request for necessary information in order to proceed with your request. Please do not hesitate to contact me with any questions. The Louisville Bats are playing two peanut free games this season. The dates are June 11 and August 15. Both games are sponsored by the Family Allergy and Asthma Center. Tickets may be purchased on the Bats' website. The May 25th game versus the Colorado Rockies will have two sections where "exposure to peanut fragments will be limited". According to the Braves' site, tickets "are $31 and include a seat in the special peanut-free Club Pavilion section, as well as a $10 food and beverage credit. Gold Lot parking may also be purchased for $10, allowing easy access straight to the peanut-free section of the park." Sunday 6/22/14 at 1:15pm vs. the Philadelphia Phillies (For the grownups: Replica Batting Practice Hat w/National League Champions Logo). Tickets for this game are $25 each. Tuesday 7/22/14 at 7:15pm vs. the Tampa Bay Rays (Interleague Game). Tickets for this game are $15 each. Sunday 8/3/14 at 1:15pm vs. the Milwaukee Brewers (For the kids: Mini Clydesdale from Build-A-Bear Workshop & Kids Run the Bases day). Tickets for this game are $25 each. Tickets for peanut-controlled section #328 are now on sale! The date is set, so mark your calendars! “Peanut Free Night” with The Tennessee Smokies Baseball team will be Wednesday, May 21st 2014. This event is sponsored by the Allergy, Asthma & Sinus Center, www.allergyasc.com. Thanks to the Allergy, Asthma & Sinus Center for this info and for making the event possible. "The White Sox are pleased to announce the Allergy Awareness Game of the 2014 season. Please join us, on Saturday April 12th when the White Sox play the Cleveland Indians at US Cellular Field. There will be a special designated area in the club level for anybody with a nut allergy and their family and friends. No nuts or anything containing nuts will be allowed in the special seating area. There will also be a special food table in the area featuring foods that do not contain nut products. There will also be food options for people with milk and egg allergies." "I have attached the order form and waiver. You will need to send back a waiver for each person that has a nut allergy with the order form. If you would like additional information or have any questions please let me know. Feel free to call me at 312-674-5186 or shoot me an email." The contact email address is: dmilliken AT chisox DOTcom (just add in "@" for "AT" and "." for "DOT") I have attached the waiver as a hyperlink for ease of access. Thank you Judy, for keeping us all in the loop! This year's peanut free night with the Birmingham Barons is scheduled for Tuesday, June 24. They're playing the Braves. Thanks to JW for the link and info! Just spotted the below game listed on the San Francisco Giants Fans for Peanut-Free Baseball FB Page. Not sure why it is called a "Peanut Friendly Day" instead of "Peanut Allergy Friendly Day". (Most people with peanut allergy don't want to get friendly with a peanut!) That's a little odd! Game info copied and pasted from the Giants' site here and here. Monday, 6/23 vs. SD 7:15 p.m. The San Francisco Giants are pleased to host Peanut Friendly Day at AT&T Park. Please join us on Monday, June 23rd as the Giants take on division-rival San Diego Padres. A Peanut Controlled Section* will be featured where Giants fans with nut allergies can enjoy the ballgame. All Peanut Friendly ticket purchasers are encouraged to enter through the Suite Lobby Entrance at 2nd and King, which will provide the most direct route to VR 336. Each person with a ticket for VR 336 will be required to sign a waiver before entering the Peanut Controlled Section. For any questions regarding Peanut Friendly Day at AT&T Park please email peanutallergy@sfgiants.com. " "Wednesday, 7/30 vs. PIT 12:45 p.m. The San Francisco Giants are pleased to host the second Peanut Friendly Day of the 2014 season at AT&T Park. Please join us on Wednesday, July 30th as the Giants take on the Pittsburgh Pirates. A Peanut Controlled Section* will be featured where Giants fans with nut allergies can enjoy the ballgame. All Peanut Friendly ticket purchasers are encouraged to enter through the Suite Lobby Entrance at 2nd and King, which will provide the most direct route to VR 336. Each person with a ticket for VR 336 will be required to sign a waiver before entering the Peanut Controlled Section. For any questions regarding Peanut Friendly Day at AT&T Park please email peanutallergy@sfgiants.com. *Please Note: FANS SHOULD BE AWARE THAT A PEANUT-CONTROLLED ZONE DOES NOT MEAN THAT THE ZONE OR THE OTHER SECTIONS IN AT&T PARK WILL BE OR ARE PEANUT- OR NUT-FREE. THE SAN FRANCISCO GIANTS PLAY IN A BALLPARK WHERE WIND AND OTHER CONDITIONS OUTSIDE OF THEIR CONTROL MAY IMPACT THE PEANUT-CONTROLLED ZONE. WHILE REASONABLE EFFORTS HAVE BEEN MADE TO MAKE THE DESIGNATED ZONE PEANUT- AND NUT-CONTROLLED, WE CANNOT GUARANTEE THE ABSENCE OF PEANUTS, NUTS, FRAGMENTS, DUST, PARTICLES OR RESIDUE FROM EITHER. FANS WITH PEANUT AND NUT ALLERGIES SHOULD TAKE ALL PRECAUTIONS THAT THEY CUSTOMARILY TAKE IN PUBLIC PLACES WITH POTENTIAL EXPOSURE. In addition to working with AFAA to offer a safe game for fans, the Saints will also donate a portion of the proceeds to AFAA for food allergy education, advocacy, and support programs! The Detroit Tigers are again happy to provide the opportunity for individuals with a peanut allergy to attend a Tigers game this season. A maximum of four tickets per family maybe purchased. A signed waiver must be completed to participate. Space is limited and available for purchase on a first come, first serve basis online only. Please click the following link to purchase tickets. Thanks to Amy and Ann-Marie for helping keep me in the loop, so I can keep as many food allergy friends in the loop as possible! I am copying and pasting the info below. Please note I am not the author of the below info. I believe the author may be Eli K of the Red Sox, but I am not certain. 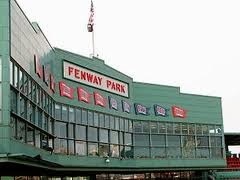 For the tenth year, the Boston Red Sox will welcome Peanut-Allergy fans to Fenway Park once again in 2014. In coordination with the New England Chapter of the Asthma and Allergy Foundation of America, the Red Sox make a concerted effort to help all fans to see Boston Red Sox Baseball at Fenway Park. Many of the changes to this season’s Peanut Allergy Friendly initiatives were in response to the 2013 Peanut Allergy Survey. § The Coca-Cola Deck consists of 174 seats and 100 standing room only spaces. To purchase tickets to one of these three dates, please email peanutallergy@redsox.com. In order to ensure that everyone who wants tickets in the Peanut Allergy Friendly section receives the opportunity to purchase them, we limit the purchaser to 8 tickets. Once your tickets have been purchased and as the game date approaches, I will send out waivers to be signed and the Fenway Park concessions allergen list. Booth F will be available one game per homestand for families whose children have extremely severe allergies. Additional opportunities may arise throughout the season. This booth is a smaller enclosed space and is in a more secluded part of the ballpark. Booth F tickets will be available on a first come first serve basis. Please email peanutallergy@redsox.com so I can put you on our 2014 wait list. Precedence will be given to those families who have not yet attended a 2014 Peanut Allergy Friendly game or had the opportunity to watch a game from Booth F this season. Once an available date for Booth F is finalized, I will reach out to groups at the top of our wait list. § Waivers must be signed before attending a peanut allergy friendly game as we cannot guarantee a peanut free environment. § Please note that Fenway Park is NOT Peanut Free. We use the term Peanut Allergy Friendly as we know there are fans who attend Fenway Park that will eat peanuts in other areas of the park. § After every game I will send out a survey in which I would like all participants to answer. This survey will help us gain knowledge on how to better improve your experience here at Fenway Park. § Please contact me throughout the season with updated emails and phone number changes. This is to ensure that everyone stays in the loop and has a fair chance to purchase tickets to our peanut allergy friendly games. 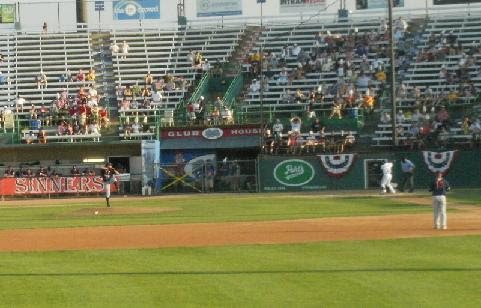 The Madison Mallards will be playing the Wisconsin Woodchucks at the June 15, Allergy Friendly Game. The game starts at 3:05pm. There will be a peanut free concession stand with ingredient listing available for the items sold there and there will be a special seating section. Tickets are $30.00 /person and include all you can eat and drink (soda and water) and 3 draught beers. $3 of every ticket will be donated to FAAW. This is the fourth year for the event. Go to http://www.foodallergywis.org to order tickets by June 2, view a flyer and for more information. Another hot tip from Michelle Q! Thanks, Michelle! Peanut controlled: Chicago White Sox: Saturday, April 12th and Saturday, July 19th. Peanut Controlled Seattle Mariners 2014 Games! Hope to see lots of you this season at Safeco Field. Let's fill those seats up to show the Mariners how much we appreciate their efforts. It's almost time to start thinking about baseball again. Spring isn't so far away! Baseball teams are beginning to make their plans for allergy friendly seating and we'll be kicking peanutfreebaseball.com back into full swing! So if you catch wind of peanut allergy friendly seats, be sure to let us know so we can help spread the word to food allergy friends near and far. Just email jenniferATfoodallergybuzzDOTcom!